Emmy was one of my fave's, she was full of enthusiasm for life, it was pretty contagious. October 11th was International Day of the Girl. I was blessed to attend and speak at a fundraising event with Girls Inc. Pacific Northwest a few days before to celebrate the occasion. The event is a day to celebrate the "strong, smart, bold girls of the program and showcase all that the organization does to promote and lift up these girls so that they can live independent, successful lives. 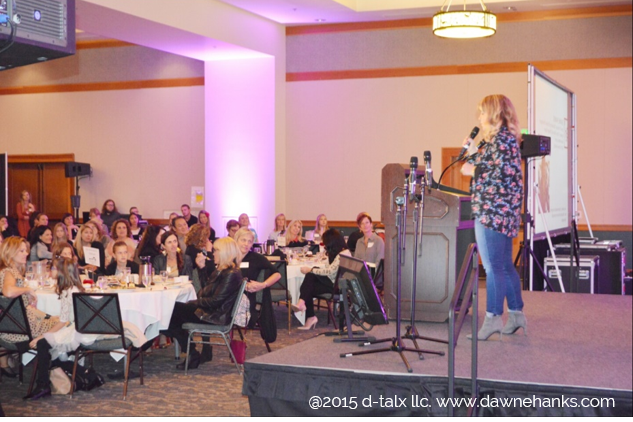 Hosted by Jenny Hansson, anchor for KOIN TV got the afternoon started by welcoming the attendees and offering her story and the support she received from those around her, I spoke with Jenny, an awesome woman who gets up every day at 2am to anchor the sunrise news. Yes, that is really early but she said it was a small price to pay to live out her dream. Hands down, the best part of the whole event was the girls.. About 20 plus girls were there in total and they greeted guests with enthusiasm. They also each took lead at tables around the room to showcase some of what they experience with Girls Inc. PNW. A few of them were selected to get up on stage, no easy task for anyone but even harder when you are young. Many survey's done with people of all ages say that a lot of people fear public speaking more than death. YIKES. Lily tore the house down with her courage to get up and speak for the first time in front of an audience. That makes what these girls did all the more amazing. For most of them it was the first time they had ever been in front of an audience. I am not understating how amazing it was to watch them in action. For most of their speeches I was a puddle of tears. No joke. I was so overwhelmed with the intelligence, enthusiasm and fearlessness of each of them as they explained who they wanted to be and why Girls Inc. is helping them make their dreams a reality. Final speaker of the day can be an intimidating place to be. will you stand in a girl's corner to help her be strong, smart and bold? A little gift to thank the people at my table for attending and donating to this great cause. How great would it be to keep the momentum train going? If you would like to donate to Girls Inc. PNW and support these girls, send me an email I can help get your donation over to the group. Hope to hear from you soon. Older Posta lot of you want a job but you don't want to work. are you gonna step up and be charles barkley or what?